Technopark Phase 3 is a modern hotel and is a great place for visitors to enjoy their time in the city. Spacious rooms come with minimal decor that is pleasant. The interiors are elegantly decked and provisioned for maximum comfort with storage space to keep your belongings safe and tidy. The property is wheelchair accessible giving the same level of comfort to every guest. 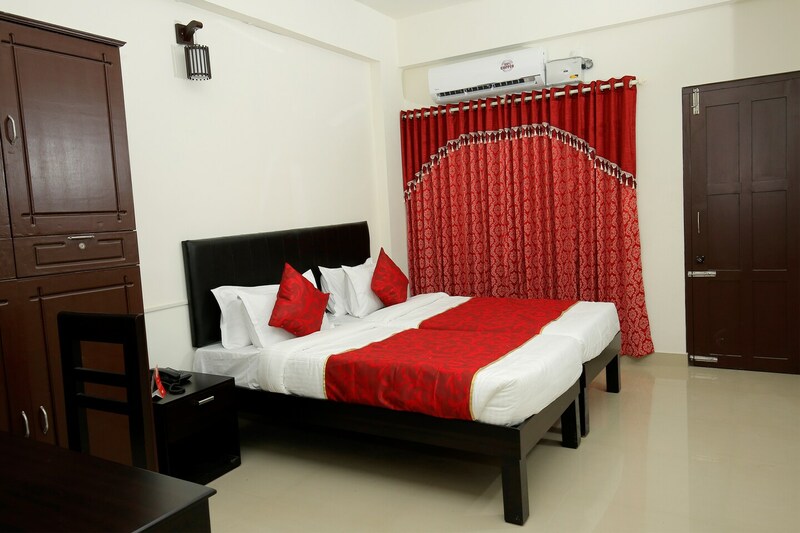 The hotel offers facilities that include wifi, parking and laundry service at a very affordable price. To make your stay experience better, the hotel is secured by CCTV. Visitors can head to Veli beach or visit the Space Museum. Travellers coming to Trivandrum for work will be close to important business hubs around Technopark.